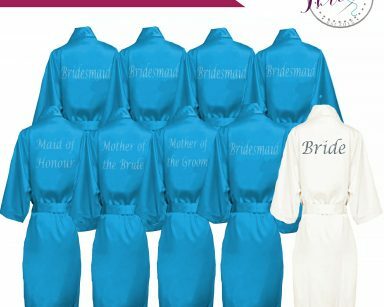 Ruffle Floral Satin Light Blue Wedding Robes Personalised Floral Robes. Beautiful floral robes – New for Wedding Threads 2018. 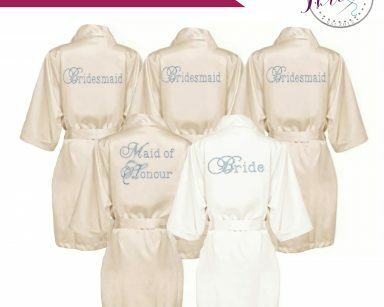 These satin floral robes are perfect gifts to you or your Bridal party and make These luxury kimono style satin floral robes make for great photos for the bride and bridal party on the morning of the wedding and are a fantastic keepsake for the girls of your special day. That's quite a few robes here's an instant discount! 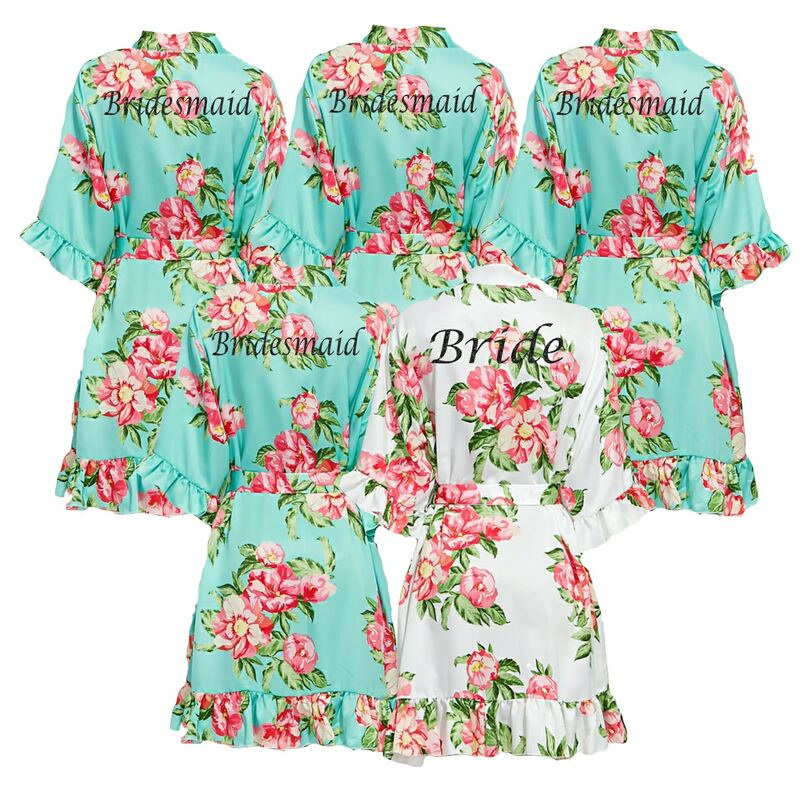 Gorgeous & girly ruffle satin floral robes with a Bold floral print. The Ruffles are on the Sleeves and Hemline. 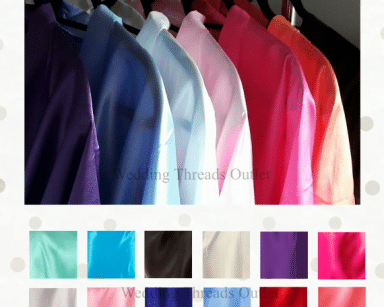 Colours available are Blush Pink, Navy Blue, Light Blue, Peach, Slate Grey or White. You can mix and match your colour choices too. Coordinating childrens robes also available – upto 4 years, upto 8 years or upto 12 years.